5 must dos in The Lake District! If you are wondering what makes The Lake District worth visiting, we’ll give you a hint: it’s more than just lakes. Don’t get us wrong – the lakes are spectacular. In fact, there are 16 magnificent lakes that attract 15 million visitors every year. But when you factor in over 400 old-world towns and villages, five of the tallest mountains in England, and the greenest grass you’ve ever laid eyes on, you’ve got scenery that could be out of a fairy tale. So take a few days to sit back and admire a place where the grass actually IS greener, or get a little adventurous and go exploring. Here are our top 5 must dos while you are in The Lake District. Go on a traditional ‘Ullswater Steamer’ boat and take in the sights of Ullswater. One of England’s, if not the world’s most beautiful lakes. Break your day up by taking the boat from Glenridding down towards the south end of the Lake to Howtown and take a two and half walk back to Glenridding. Maybe stop for a rest or two and a picnic lunch along the shoreline. If it’s warm enough (and your game enough) maybe even take a cheeky little deep in the water. 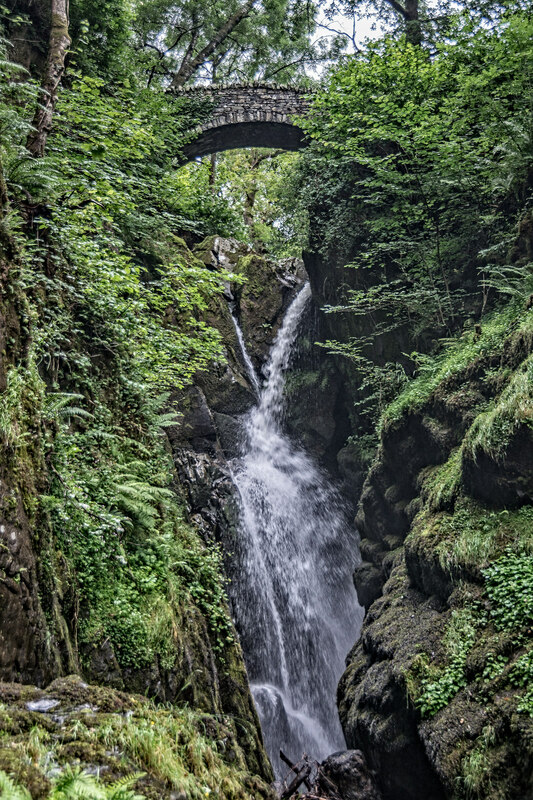 While you are at Ullswater, check out the beautiful Aira Force Waterfall. She’s a stunner. The water falls for 70 feet, making it a little more amazing than your usual waterfall – the picture says enough. Visit the home that inspired that inspired Jemima Puddle-Duck. That’s right, Beatrix Potter’s house, Hill Top is located in The Lake District. If you are a fan, you’ll spot many scenes from her illustrations as you wander around the property, which has been kept exactly as it was when Beatrix Potter herself lived there. What a perfect way to reflect on those childhood memories. Didn’t bring your hiking boots? That’s okay. You can still see the amazing sights. 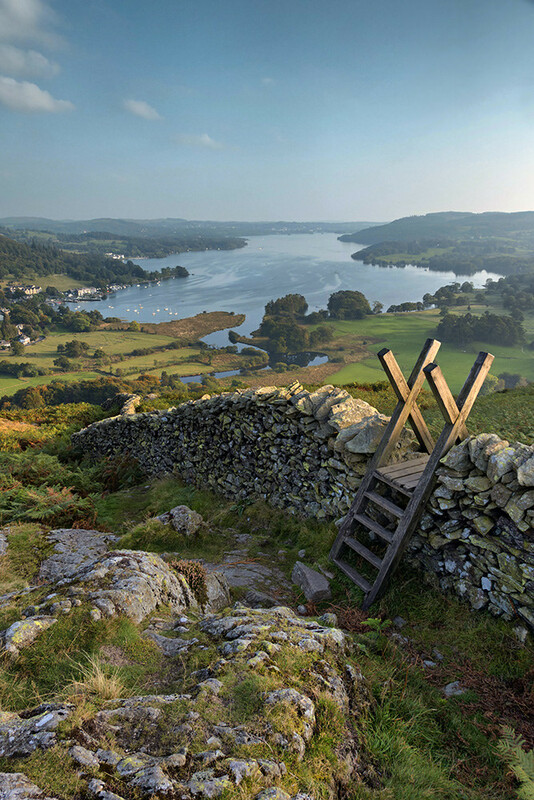 Take a short walk to the top of Orrest Head and enjoy a rest while taking in the amazing views of Windermere station.Or if you are up for more of a challenge, take on the Old Man on Coniston Mountain. The stunning views from the top of the mountain are well worth the climb! If adventure is what you’re after, The Lake District is the place to go. From kayaking to tree-top trekking to rock climbing, this spectacular part of the world has everything your heart desires. Famous as the birthplace of modern rock-climbing, The Lake District is the perfect place to scale the rocky crags. Head to Ambleside, gateway to Langdale which is home to some of the most beautiful climbing in The Lake District and caters to all skill levels. For adrenaline junkies, the area is packed with great aerial courses high up in the tree canopies. Imagine racing your mates down a huge zip-line while taking in the spectacular scenery below. Or if heights are not your thing, go to Coniston for all things water-sports. There, you can hire motor boats, dinghies, kayaks and paddle boards. Last of all to conclude any English trip there needs to be a pint or two at a pub. Reflect on your amazing time in the Lake District at one of the oldest pubs in town! Fallen in love with it too? Check out our Lake Districts 3 Day pass on sale now!